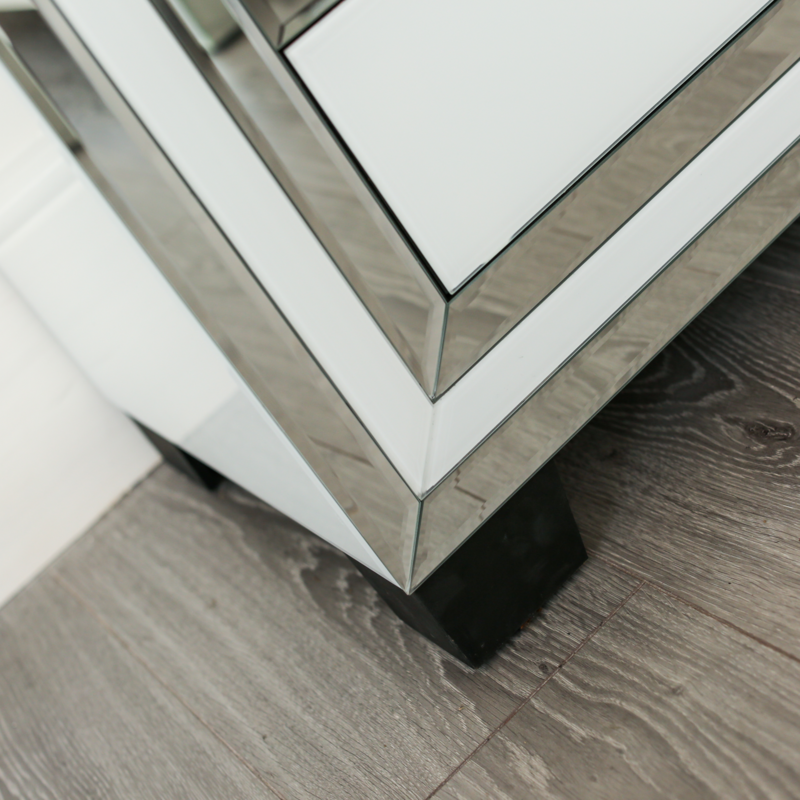 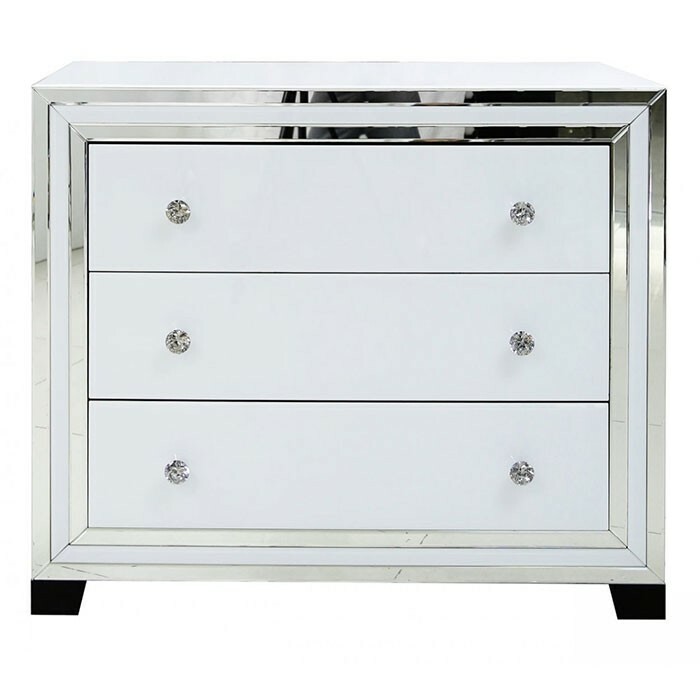 Three full width drawers are set into a white glass chest with a mirror trim. 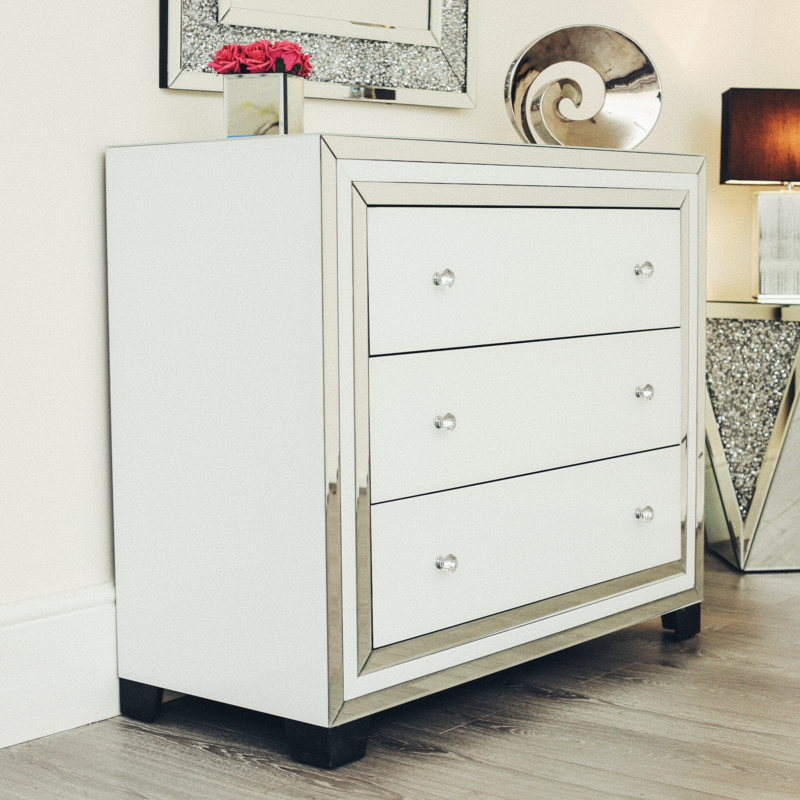 This chest of drawers matches perfectly with the 6 drawer chest and TV stand, making it ideal for either bedroom or lounge storage. 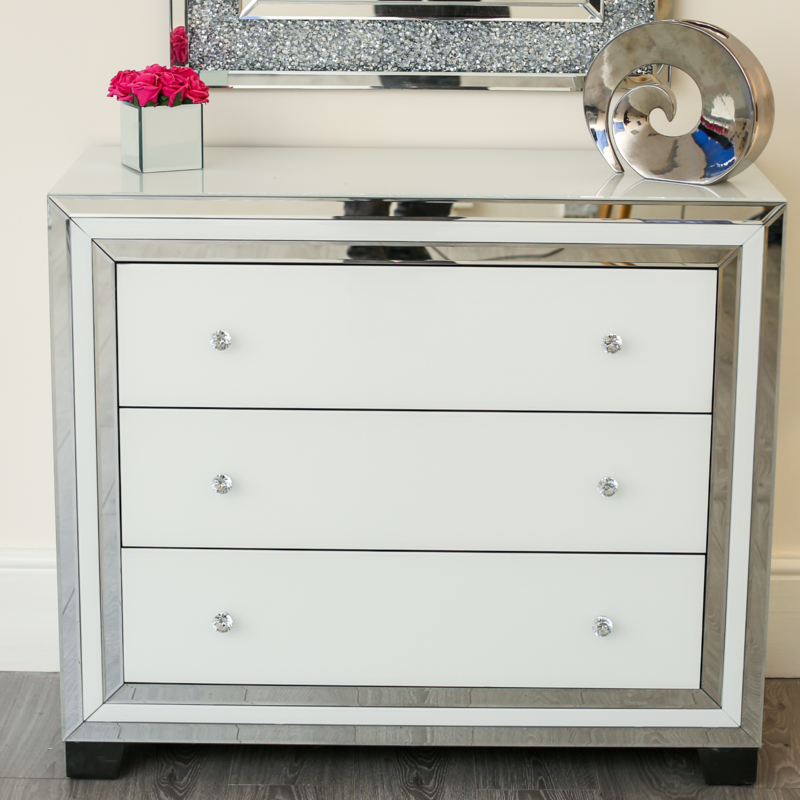 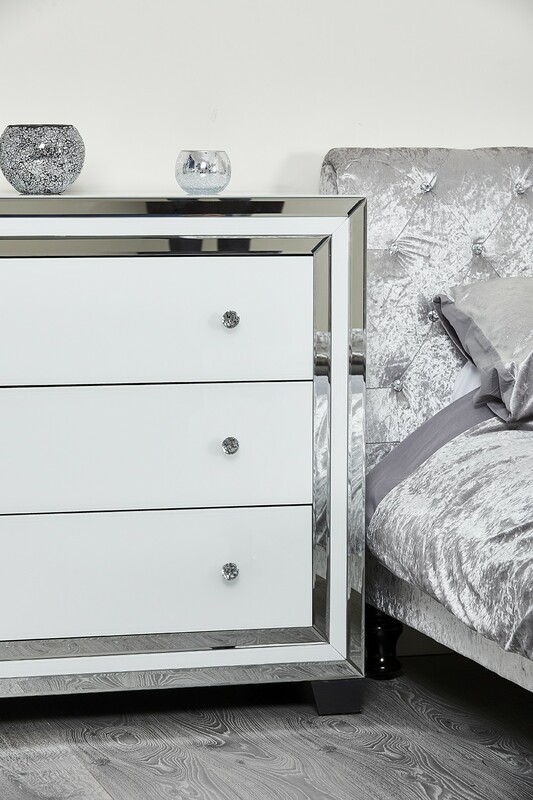 With clean lines and high gloss, this chest of drawers will make the perfect addition to any home.